Dig it, Groove-ophiles! The Champions. Ol' Groove just dug that group so much. Yeah, it went through a lotta growing pains in its early issues. Yeah, it was an unlikely team (two X-Men, two Avengers, and the Ghost Rider). 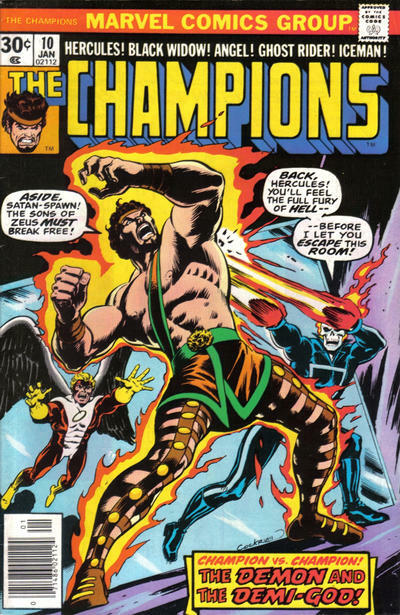 But doggone it, when writer Bill Mantlo was joined by penciler John Byrne it was magic. Too little, too late, I s'pose, but if the Champs had only been given a little more time... Ah, well. 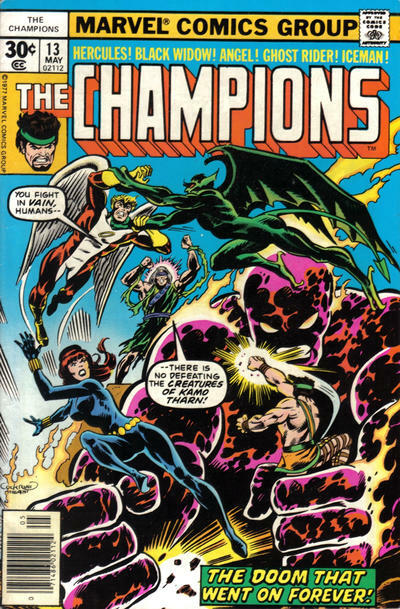 The Champions also sported some really far-out covers, too. Ol' Groove decided for this round I'd narrow it down to a half dozen. That was HARD, but here ya go! 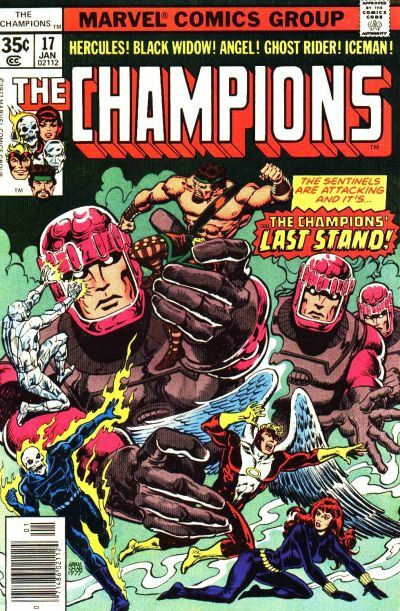 Gil Kane, Dave Cockrum, Ernie Chan (aided and abetted by inkers Dan Adkins, Bob Layton, and Al Milgrom) are definitely champions of cool cover art! Love the Kane/Layton cover on # 11. It is exquisite. Loved this team & series. But was disappointed with the art team & lack of real villains. 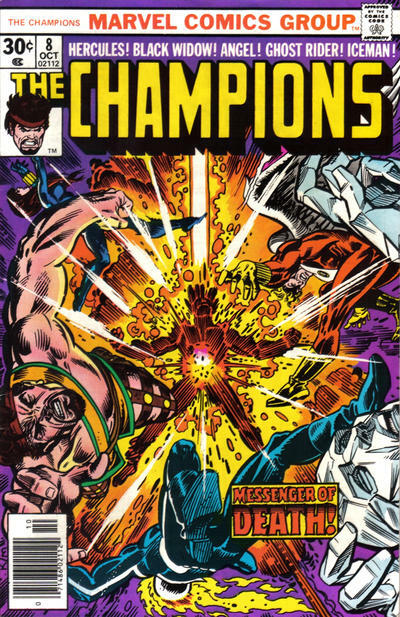 Until Bill Mantlo,Cockrum & John Byrne started doing the book. Only to see Byrne exit as fast as he arrived which stunk. 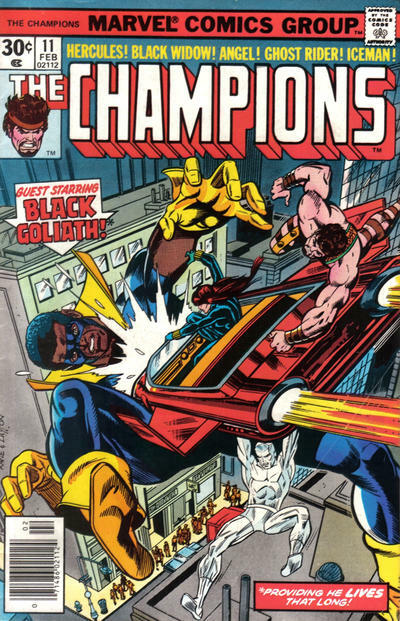 They should had gotten a much better creative team on this book before the first issue was even done. And then did the first 6-12 issues first then published them. Same with Dave Cockrum on the bi-monthly X-Men. Don Heck and Mike Esposito. 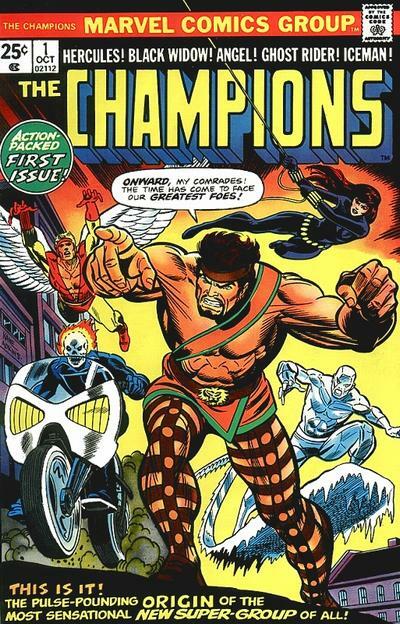 Could they have picked a worse art team for issue # 1 of The Champions? Random Reads: "The Isle of the Dead"